How do you follow up a massive hit single? If you worked for Motown, you’d answer without hesitation: “Why, with a record that sounds almost exactly the same, of course!” And so Quicksand has gone down in history as an exercise in the art of the commercial retread; the Motown house band, the Funk Brothers, were so amused they referred to this song as “Son of Heat Wave“. Indeed, when discussing Quicksand, that’s pretty much all anyone ever talks about. Ooh, it sounds like Heat Wave, only not as good. Well, yes, it does, but not as much as people have made out. Also, nobody ever seems to mention the Supremes’ barrelling Spector pastiche When The Lovelight Starts Shining Through His Eyes, to which this is also rather similar, and which holds the true key to explaining what’s going on here. The Holland-Dozier-Holland songwriting team – who’d crafted Heat Wave back in the spring of ’63 – had moved on to a new thing, where aping Phil Spector and his writing partners was the name of the game. The result was a glut of Motown “Wall of Soundalikes” in the fall and winter of 1963, as HDH first tried out their Spector impersonations, then perfected them, then improved upon them, and finally left them behind in search of new ideas. Meanwhile, the time for a follow-up to Heat Wave was fast approaching. 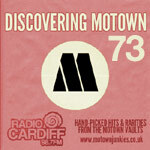 HDH, tasked – as per Motown policy – with following up their own hit, combined a bit of what they’d previously done for Martha and the Vandellas with a bit of what they were currently doing for the Supremes, the Darnells etc., and this was the result. It’s easy to forget that for all their meteoric rise and imperious success during 1963, this was only Martha and the Vandellas’ fourth single. That it’s the first Vandellas record not to be better than its predecessor is just an unfortunate quirk of history; anyone would have struggled to follow Heat Wave. In fact, despite its cribbing from earlier and better records, Quicksand is still a very fine pop/R&B stomper in its own right, and its relentless pounding – emphasised by some brilliant thudding drum breaks and a growling, ominous bass loop running throughout the song, both new to the mix – gives it a different feel to Heat Wave, the differences between the two songs becoming more and more pronounced with each subsequent listen. I’m not suggesting it doesn’t still sound an awful lot like Heat Wave, just that this is a subtly different record to its predecessor. And it’s a good one, too; it’s just not as good as Heat Wave, but that’s hardly a crime. People don’t seem to love it, though, perhaps because it’s still too close to an obviously better record everyone had already bought. It’s almost identical in structure to the earlier hit, opening with the best part of a verse and chorus before Martha even appears (though this time the other Vandellas are there at the start, cooing attractively), whilst riding the band’s creativity through the whole record, most noticeably the freewheeling sax riffs lifted almost verbatim from Heat Wave. At first blush, the lyrics, too, smack of a hasty rewrite: instead of love being like a heat wave, it’s now like quicksand; instead of blowing you away, it’s sucking you in. The rest of the lyrics are an oddly depressing experience, too, a thousand miles away from the joyous rush of Heat Wave (Each time you hold me, I feel nothing but emptiness… It’s not safe loving you this way… My heart is a prisoner of your warm embrace… You’re like quicksand, sinking me deeper, deeper in love with you…) Martha’s delivery isn’t yet coming from the same heartbreaking lovelorn place that she’ll show later in the Sixties on some of the Vandellas’ masterpieces of love gone wrong, and so it comes as something of a surprise to note that this is a song of resigned melancholy rather than euphoric celebration, and thus not really the same thing as Heat Wave at all. Certainly it’s a far more specific, far less universal sentiment being expressed, although it didn’t seem to harm it in the charts (number 8 on both the pop and R&B lists). The music, though, is full of energy, and can’t help but grab your attention (especially when, in a most unexpected move, everything suddenly drops away leaving just the drums to pound away for four bars), and the rollicking horns imported from When The Lovelight Starts Shining Through His Eyes keep everything moving along in intoxicating fashion. If dancefloors were looking for another Heat Wave, this would have fit the bill perfectly. Ultimately, I’m put in mind of Mary Wells’ Two Lovers, wondering what I’d make of this if I hadn’t heard its more famous predecessor. Would I have been as intoxicated by this as I was when Martha struck up by singing Whenever I’m with him, something inside / Starts to burning, and I’m filled with desire / Could it be / A devil in me / or is this the way love’s supposed to be? In this case, I’m pretty sure I wouldn’t. This just isn’t as good a record as Heat Wave; different enough to justify its own existence, it’s both a perfectly adequate sequel and a fun little Vandellas single in its own right, but they’d come down from a whole other plane in order to make it. My favorite part of the song is the soaring ‘oohs’ which follow the naked drum break you mention – or rather, the way those oohs emerge from the break. You’re right, it’s not in the same class as Heat Wave, but it’s a very exciting, exhilarating song – the rush of despair, perhaps, but fun nonetheless. Alas, they are about to sink considerably lower, scraping the bottom of this particular barrel of metaphors with ‘Live Wire’ – before soaring to the empyrean and accomplishing the seemingly impossible feat of surpassing ‘Heat Wave’ – and then sustaining that glorious burst of energy for quite a run. I’d be a little more generous in my rating and give this at least an 8, perhaps a 9. Although a lesser follow-up to “Heat Wave” in some ways, it actually packs a bit more “punch” that its predecessor. The bombastic drums near the end ranks right up there with those near the end of the Raindrops’ “The Kind Of Boy You Can’t Forget,” a high point in pop instrumentation, imo. Where things really unravel is in the follow up to the follow up. But I’ll let you tell that story! Thanks, as always, for all of time and effort, sir. Nixon, Hi. Have to disagree on this one, an 8 or 9 from me. I just don’t think it’s three marks below Heat Wave. As you also say, I love those drums toward the end and the energy and drive in the song. For me, I don’t mind Martha’s vocal. Keep up the great work. I know how to make a damn good spaghetti dinner, and everyone who’s shared it with me vacillates in their opinion (as do I) whether its best the first night or after the leftovers have spent an evening and day in the fridge. I am convinced that the Heat Wave album would have been a significantly stronger and more interesting LP if it could have been held till it included both sides of the Gordy 7025 single. It’s the greater number of in-house Jobete compositions that keeps the Memories album more interesting than the single night, rush job that was Heat Wave. No-one needs to apologise for disagreeing! 🙂 I’ll be astonished if, at the end of this whole project, any Vandellas fans (or indeed any Vandellas, come to that) are in agreement with all my opinions. runs close behind, but a couple of painfully flat notes would probably bring it down to a 9; and the same problem bedevils ‘I’m Ready for Love’ and ‘My Baby Loves Me’, both of which I love dearly anyway. I’ll be waiting patiently -but, as always, with bated breath! – to see which ones you choose…. I’ll wait till we get there. Martha was my favourite Motown artist at this time, but some of her records are over-rated. Beyond “Dancing In The Street” I wouldn’t begin to try and guess (and I don’t want the surprise spoiled anyway). I hope at least one of the other two is a real oddball. This group had some superior b-sides: Dancing Slow, Motoring, Never Leave Your Baby’s Side, He Doesn’t Love Her Anymore, Third Finger Left Hand, Show Me The Way, Love Makes Me Do Foolish Things …there’s a lot to pick from. In My Lonely Room is a good outsider to be a 10.
swimming in down-home soul. As for “Quicksand,” I give it a “9” on the strength of all those sweet non-verbal sounds emanating from the lips of Martha Reeves. How could not one love the creator of the pony, the watusi, the mashed potatoes, and the Slop! – I love Mobile Lil too. What do you all make of Shorty Long’s version, as featured on A Cellarful of Motown Volume 4? Didn’t know it existed! I searched in vain on itunes and youtube… and haven’t got any of the cellarful of motown albums – but it sounds intriguing! HOLY MACKEREL! (Shorty Long OWNS that expression)… I saw him in Philadelphia, must have been about 1966. The Cellarful of Motown CDs are indispensable. It’s criminal that so many great tracks lay gathering dust in the vaults until their release. Absolutely – John, or anyone else who hasn’t got the Cellarful series, get these immediately, you shan’t regret it. Volumes 1 and 2 are incredible, Volume 3 almost as good, Volume 4 starting to thin out but still packed with enough hidden gems to make purchase compulsory for any Motown fan. Not to be confused with the likes of the individual artist Lost and Found or Anthology series, these are full of both new songs and new interpretations which are often genuinely revelatory, as well as – crucially – outstanding listening in their own right. Just off the top of my head: Debbie Dean’s “Baby Baby I’m In Love Again”, Frank Wilson’s “My Sugar Baby”, Barbara McNair’s “Baby A Go Go”, Gladys Knight & the Pips’ “Here Are The Pieces Of My Broken Heart”, “I’m Gonna Get You” and “If You Ever Get Your Hands On Love”, the Velvelettes’ “Long Gone Lover”, JJ Barnes’ “Every Time I See You I Go Wild”, Martha and the Vandellas’ “It’s Easy to Fall In Love With A Guy Like You”, “Lone Lonely Town” and “Start With Joy In The Morning”, Tammi Terrell’s “All I Do Is Think About You” and “My Heart”, the late-Sixties Supremes’ turbocharged version of “Honey Bee (Keep On Stinging Me)”, Shorty’s “Mobile Lil” and “A Woman Just Won’t Do Right”, and a virtual album’s worth of Brenda Holloway offcuts that could have made it as singles (How Can I, Who You Gonna Run To, All Your Love, Trapped In A Love Affair, You’re Walking Out With My Heart, My World Is Crumbling)… and honestly that’s just scratching the surface. You simply cannot afford to be without these albums in your life. Actually, Shorty’s “holy mackerel” came from the mouth of the character Kingfish, played by Tim Moore on the TV show “Amos ‘n’ Andy back in the ’50s. I’m sitting in the lobby of a London Hotel with Annette Helton as I’m typing this reply on her behalf. She has been our guest in England for the last 2 weeks on vacation here with her husband, Dann. She gives this particular record 8 out of 10 marks but considers it to be inferior to Heat Wave. She does point out though that as soon as Motown found a successful groove for a group it tended to stick with it until it was played out. She hated singing this song on stage as it was was so quick that it was difficult to perform and I have to agree as I’ve never seen this song performed “live” by any formation of Vandellas and I’ve seen them on stage hundreds of times over the years. It was also interesting to hear Annette talk about this song’s recording at Hitsville as she remembers it very clearly. HDH made sure they were well prepared for their sessions and this one was no different. They went into a rehearsal room upstairs at Hitsville and went over their parts until they were perfect. Only then did they go into the studio where it usually took few takes to finish up. On Quicksand the Funk Brothers were in the studio with Martha, Roz and herself, although ready prepared backing tracks were soon to become the norm. You brought a smile to Annette’s face when she read what you had written, as it brought back many happy memories for her. She said to be sure to thank you. She is also concerned that when you get to review records released in 1964 that you get it right as to her date of leaving the group. It wasn’t as it says in TCMS but rather at the end of June 1964 when she did her last recording session as a Vandella and this was the session for Jimmy Mack and Third Finger Left Hand, for which she still receives royalties. As Annette is saying to me, if I wasn’t on that session then I wouldn’t be getting paid royalites for those songs still. She likes her contribution to the Vandellas’ history to be accurately presented. Thanks David (and Annette), fascinating stuff as always. Annette’s comments re: 1964 are duly noted! As ever, if she or anyone else feels something is inaccurate, comments are open, I’m happy to make corrections, and I’m always contactable by e-mail if there’s something someone doesn’t want to say in public. I remember taking this record to play at a friend’s house. Although I had told him it was disappointing, when it came to the drum-break, I was hooked, and I had to revise my opinion. If Annette Helton thinks its worth 8/10, that’s good enough for me. Now that i think about it i don’t recall the Vandellas performing that song live but they had to have at some point, no? I also wonder since the Miracles last performance with Smokey was recorded and released at the Carter Barron Theatre and the Supremes final performance at the Frontier was recorded and released that maybe the Vandellas last hurrah at Cobo Hall could have been taped and shelved?? Okay, coming back to this one, maybe the reason I love it so is because all these years I’ve been hearing it wrong!. I thought Martha was saying “Each time you hold me, I feel nothing but happiness, which of course, changes the entire meaning of the song: I don’t like feeling this lack of control, you might prove untrustworthy, you might eventually leave me heartbroken, but only when I surrender to my attraction to you, do I feel so bracingly alive! Misread this way, now the song not only continues the sound of “Heat Wave,” but its message as well, the scary vulnerability that accompanies love and sexual attraction. Thus was clearly an attempt to piggy-back on the success of “Heatwave”. But, I believe it’s somewhere between a 7 and an 8. It has some of its own merits, making it more than a mere copy. But, I do like “In My Lonely Room” a lot better. I must vehemently disagree with you on this one. I think “Quicksand” is actually a BETTER record than “Heatwave.” And believe me, I don’t come by that lightly. I have always considered “Heatwave” to be one of the finest efforts Motown ever produced, but the so-called “rewrite” just goes above and beyond that. I happen to think Martha belts it out with a great amount of passion, and to put it in layman’s terms, IT SMOKES! If you look up “Quicksand – my extended version” on YouTube, you’ll find a masterfully crafted long version of the song that just forces you to listen to it over and over. The creator of the extendo goes by the handle “MoSoGoTam.” A fairly clever combining of Motown/Soul/Gordy/Tamla(the four Motown imprints). Give it a listen.